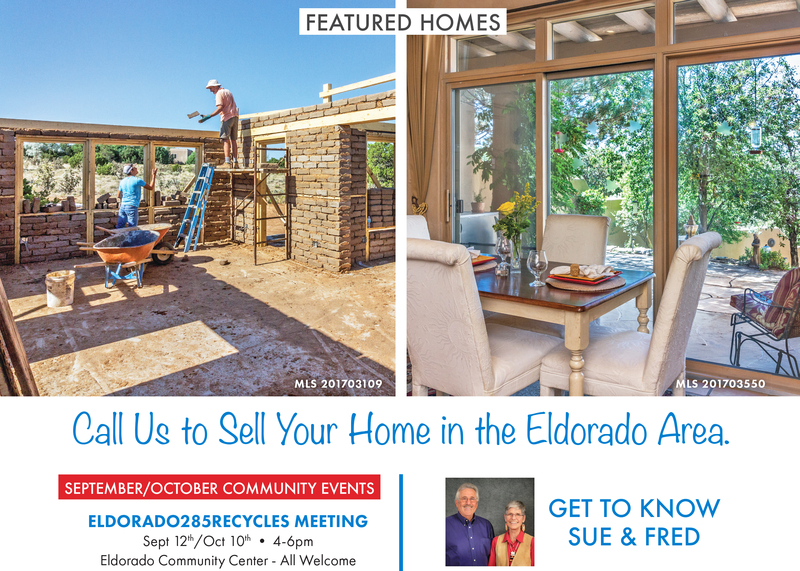 Have you seen our ad in the September, 2017 issue of the Eldorado Living Magazine? 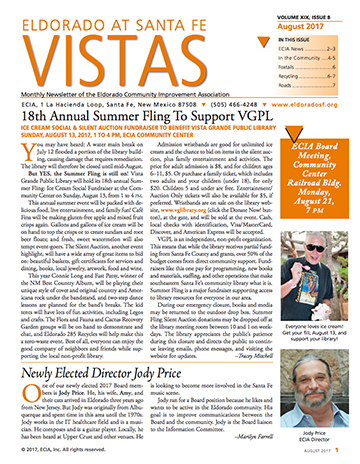 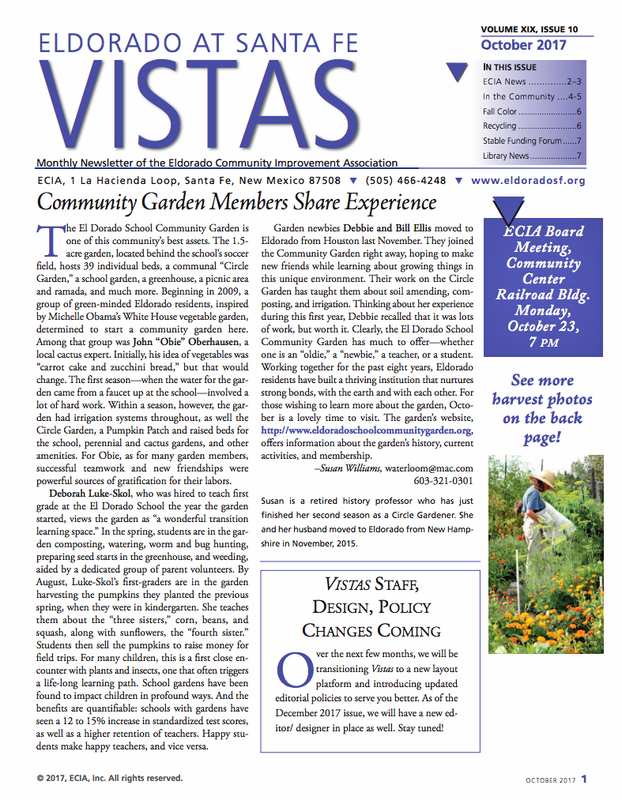 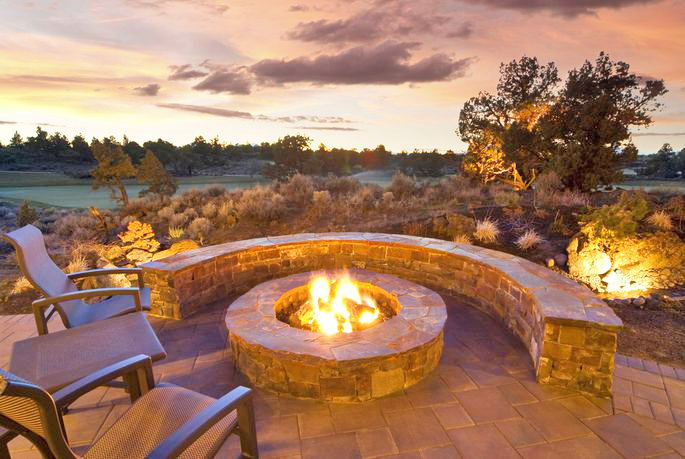 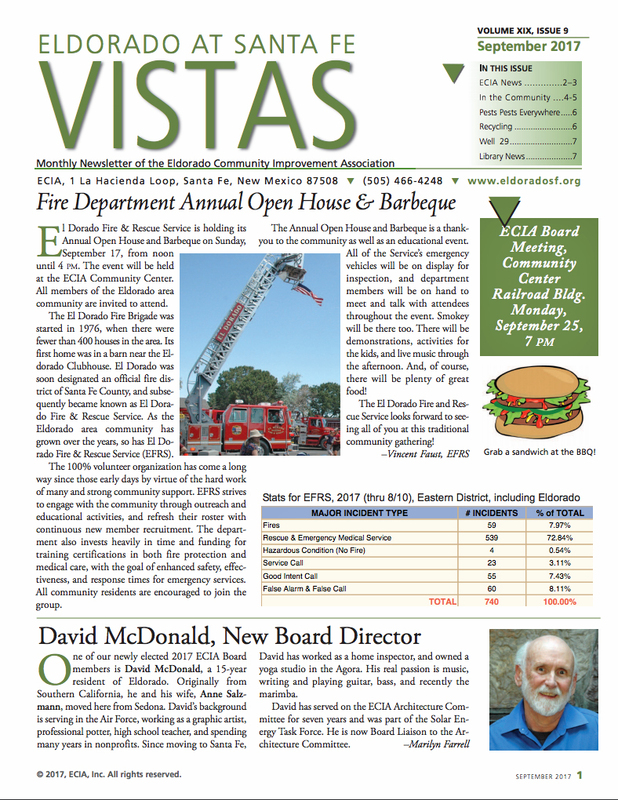 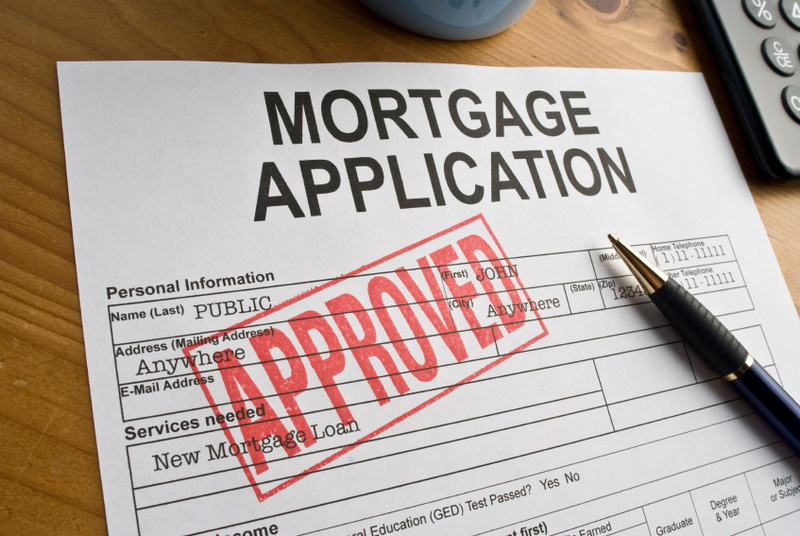 August Vistas community newsletter now available! 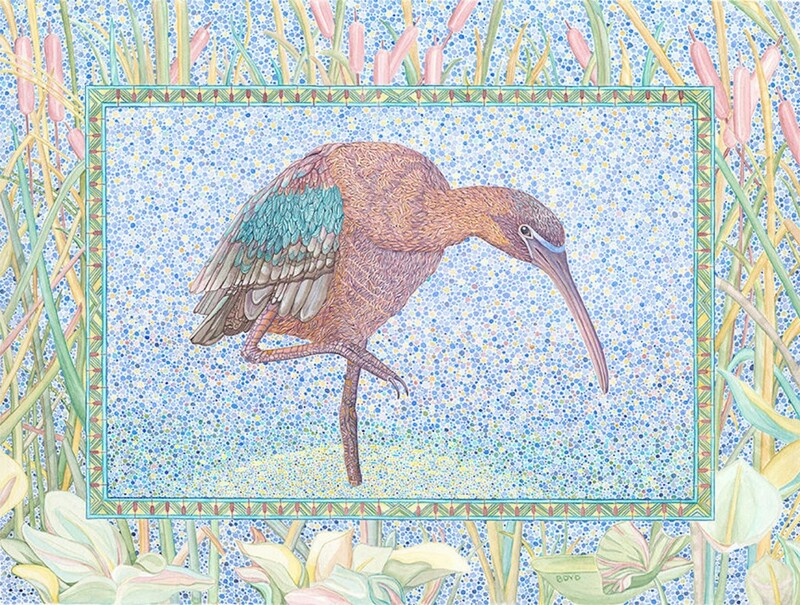 ON EXHIBIT through July 29th is the exquisite artwork of watercolor artist Judy Boyd “Birds of New Mexico”. 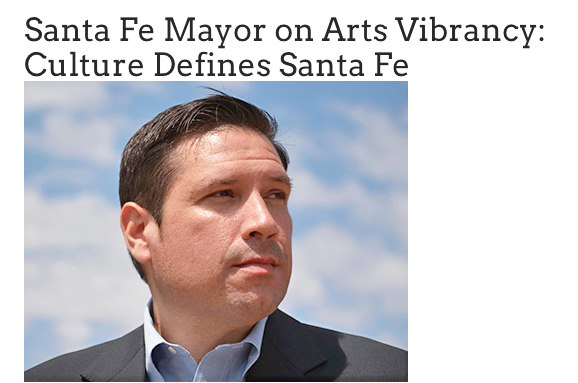 In the Vista Grande Public Library. 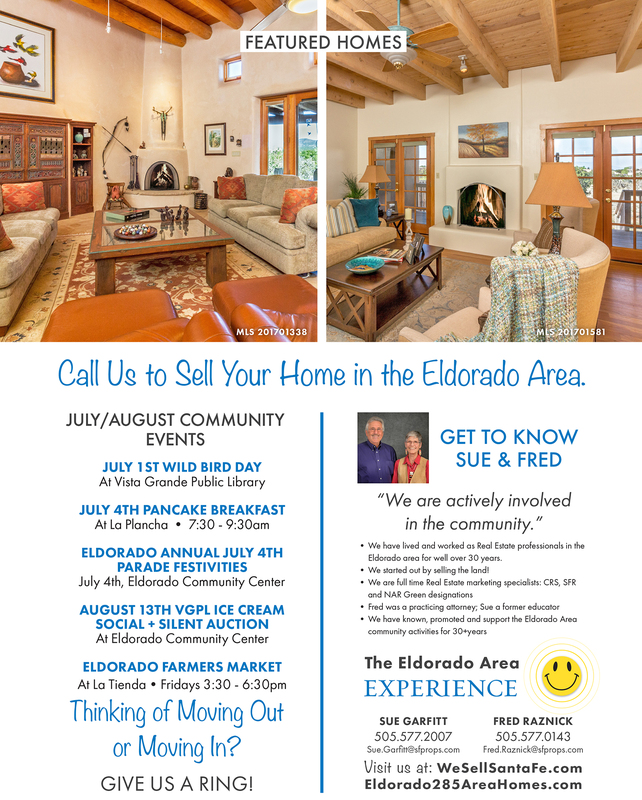 Have you seen our ad in the July, 2017 issue of Eldorado Living magazine?